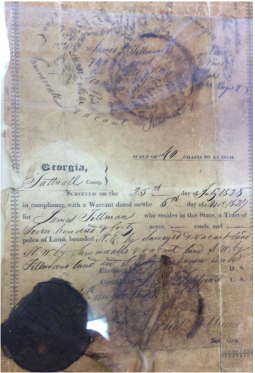 ﻿Between 1805 and 1833, the state of Georgia conducted eight land lotteries in which public lands in the interior of the state were dispersed to small farmers based on a system of eligibility and chance. 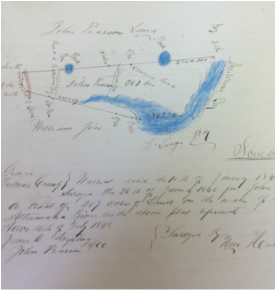 Tattnall County Archives holds a number of these original documents. We have been collecting school annuals from Tattnall County and have quite an impressive collection. 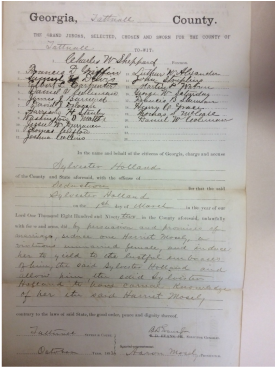 ﻿Original court records from Superior Court, Inferior Court, Justice Court, and City Court, plus others, provide valuable genealogical and historical information. Volunteers have been hard at work for the past few years archiving boxes and boxes of these documents, getting them ready for you to search for your ancestors. At least two of our documents contain the signature of George Walton, signer of the Declaration of Independence. Walton was an early Superior Court judge for Tattnall County. Among our most valuable volumes, these plat books from the 1800s contain beautifully rendered land surveys, enhanced with colored pencils. The two volumes have now been digitized by the TATTNALL JOURNAL SENTINEL and are easily searched. They are available for you to look at on the computer in the Archives.